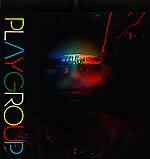 [reduced price on the last import copies of this album, now released domestically by Astralwerks] "Playgroup is the brainchild of Trevor Jackson, the producer/remixer better known as The Underdog aka the man who reshaped British hip hop and was responsible over sixty remixes for the likes of U2, Massive Attack, Unkle & Death In Vegas. 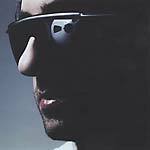 Trevor also heads the experimental Output label and has designed a number of sleeves for acid house and early hip hop records. This highly-acclaimed album, whose sound is totally original and yet vaguely familiar, features a whole host of musical mavericks: Leila collaborator Luca Santucci, hip house legend KC Flightt, New York toaster Shinehead, Edwyn Collins, Roddy Frame (Aztec Camera), Kathleen Hannah (Le Tigre), Peaches & Gonzales, Rowetta (Happy Mondays), Kyra (ex Headcoatee), Joi (Dallas Austin cohort & Lucy Pearl vocalist), newcomer Sola as well as the vocal delights of Trevor Jackson himself. 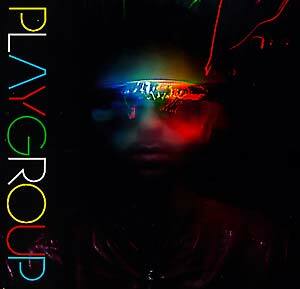 Playgroup is a scorching hotbed of seriously individual talent -- listen and love."